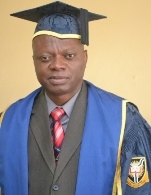 A lecturer in the Department of Theatre Arts, University of Ibadan, Dr Soji Cole, has won the 2018 Nigeria Prize for Literature instituted by the Nigeria Liquefied Natural Gas (NLNG) Limited. His drama, Embers, was adjudged the best of the 89 entries on Friday, October 19, by a panel of judges which included Professor Matthew Umukoro, Professor Mohammed Inuwa Umar-Buratai, and Dr Ngozi Udengwu. The advisory board of the NLNG Literature prize, chaired by Emeritus Professor Ayo Banjo considered Dr Cole’s work, Embers, to be a masterpiece that upholds the quality and excellence for which the Prize stands. So did the international consultant on the Prize for Literature, Professor Jonathan Haynes. Embers is a play on the ugly contemporary experiences of Nigerians in dreaded Sambisa forest and in the Internally Displaced Persons camp. Reacting to the news of his success, Dr Soji Cole said, “I knew that I had written a very strong drama which can win the award. But others with whom I competed were excellent writers as well. So, no one can be sure”. Describing his feelings further, he said, “I tried to cry but the tears weren’t coming. After all these years of writing and toiling, I finally stamped my name on the plaque of world literature”. In his reaction to the news of Dr Cole’s award, the Dean, Faculty of Arts, Professor Ademola Dasylva, said that Dr Cole had done the Faculty of Arts and the University of Ibadan proud. In his words, “hard work, diligence, dedication, a mastery of the art and professionalism did the trick”. Dr Cole is known by his colleagues to be exceptionally hardworking, humorous and creative. The Nigeria Prize for Literature which began in 2004 remains the most prestigious national award in Literature. It was won by Oke Ikeogu (2017), Abubakar Ibrahim (2016), Sam Ukala (2014); Tade Ipadeola (2013), Chika Unigwe (2012), Adeyemi Adeleke (2011); Esiabi Irobi (2010); Kaine Agary (2008); Akachi Adimorah-Ezeigbo (2007) and Mabel Segun (also 2007); Ahmed Yerima (2005), Ezenwa Ohaeto (2004) and Gabriel Okara (also 2004). The award is worth USD100,000. It would be noted that the University of Ibadan continues to lead in national and international competitions. For instance, the University emerged the Best School of the Year at the 2018 Creativity Week, a foremost advertising event organised by Chini Productions in collaboration with the Roger Hatchuel Academy of France.